I want to start by telling you that I drank too much coffee and came up with the title of this post. Because 500 is a ridiculous amount of Frankenstein facts. And who would have time to read them? Such is the magic of coffee: it makes even the most tedious of tasks seem possible. 1. Frankenstein is the creator of the monster — not the monster itself. 3. 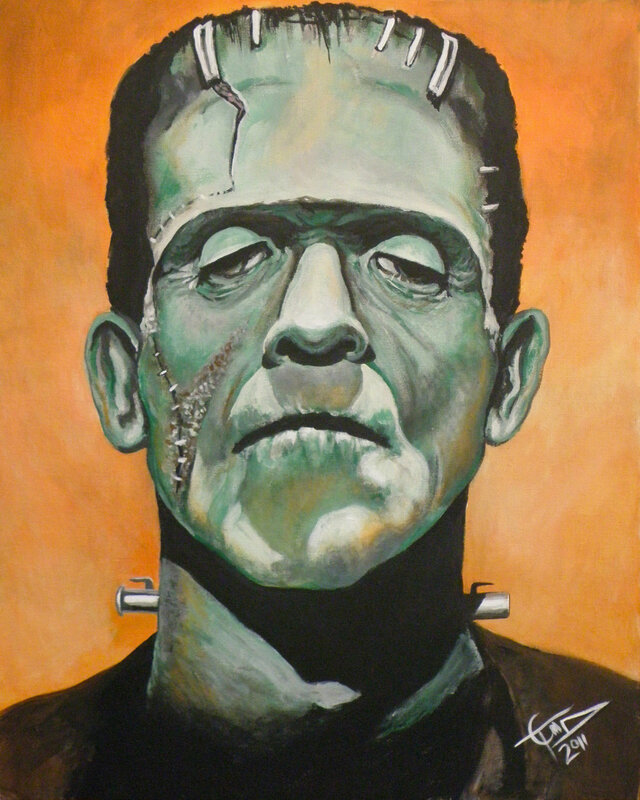 Frankenstein’s monster is an omnivore — possibly vegetarian. Unlike vampires and werewolves, Frankenstein can survive off berries alone. 4. Frankenstein’s monster learned how to speak and read by observing some random family in a cottage for months. AND he was reading classics like Paradise Lost — no Hooked On Phonics necessary. 5. 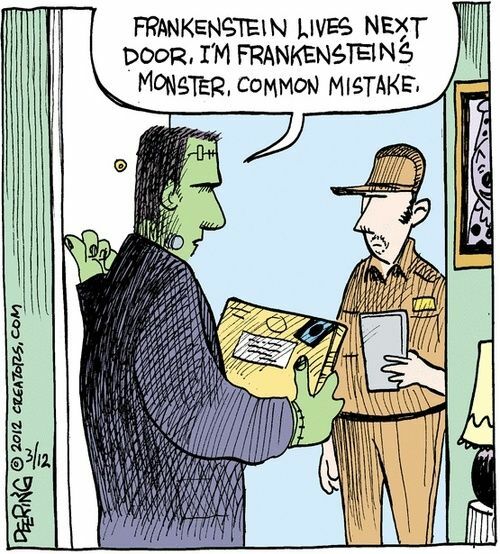 Frankenstein travels to England to learn how to make his monster a wife. Apparently monstrous women can only be created in the British Isles. 6. Frankenstein’s monster is immune to bad weather and can travel great distances by foot. He would make an excellent spokesperson for a winter clothing brand. 7. Frankenstein marries his non blood-related cousin that he always treated like a sister. Weirdo. 8. Mary Shelley’s Frankenstein is a great read even for those who aren’t big fans of classics, like me! While it starts off slow, this is a horrifying tale that will hook you. As we look to improve life through technology today, Shelley’s little novel written in the 1816 still serves a cautionary tale. What monsters are we creating and will they follow us home? A while back, I admitted that the last two science fiction novels I read was The Hitchhiker’s Guide to the Galaxy and The Search for Snout. I can officially change that to include Roadside Picnic by Arkady and Boris Strugatsky. Out of all the books I’ve read in the last few years, I think this one had the most effect on me. This is a story that crawls beneath your skin. The book is based after an alien visit that leaves behind several “zones”. Leading scientists suggest that the aliens merely stopped on Earth enroute to another destination, not unlike how we stop by a forest for a picnic. The visit to Earth isn’t significant to the aliens but it has a devastating impact for towns close to the zones. Corpses come back to live with their families, children are born as aliens and what happens in the zones are completely unexplainable by science – not to mention, just completely messed up. Roadside Picnic centres around a stalker named Redrick Schuhart. Stalkers live a risky life of illegally retrieving items from the zones and selling them. One thing that detracts me from sci-fi novels is the amount of time spent simply describing the plot and the settings. But Roadside Picnic jumps right into the story and lets you figure it out. It’s worth mentioning that Roadside Picnic was originally published in Russian during the Soviet days where it was edited beyond recognition. It was also out of print in North America for 30 years. Maybe it’s an alien conspiracy to keep us from reading it. PS. 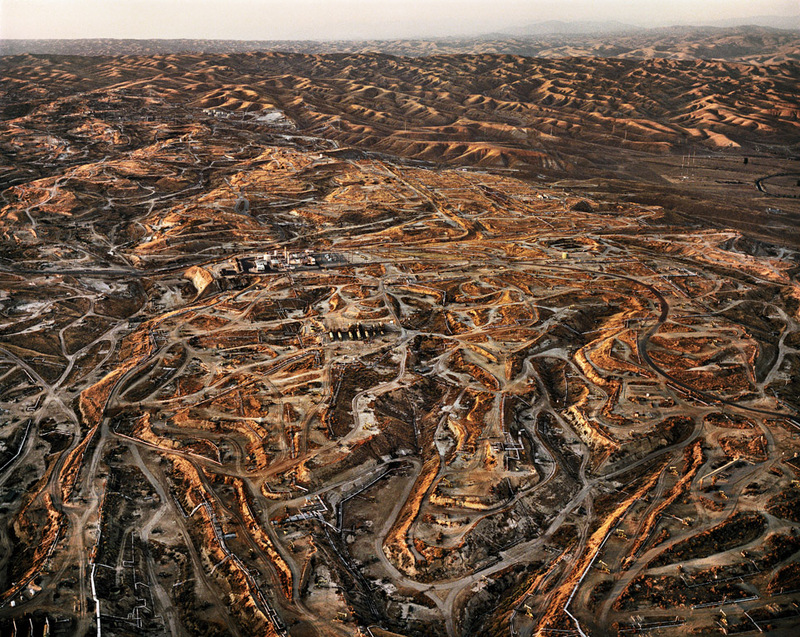 I thought I’d show you some of Edward Burtynsky‘s photos of man made landscapes of quarries and oil mines – where we have literally created our own version of “zones” for the residents and wildlife there. 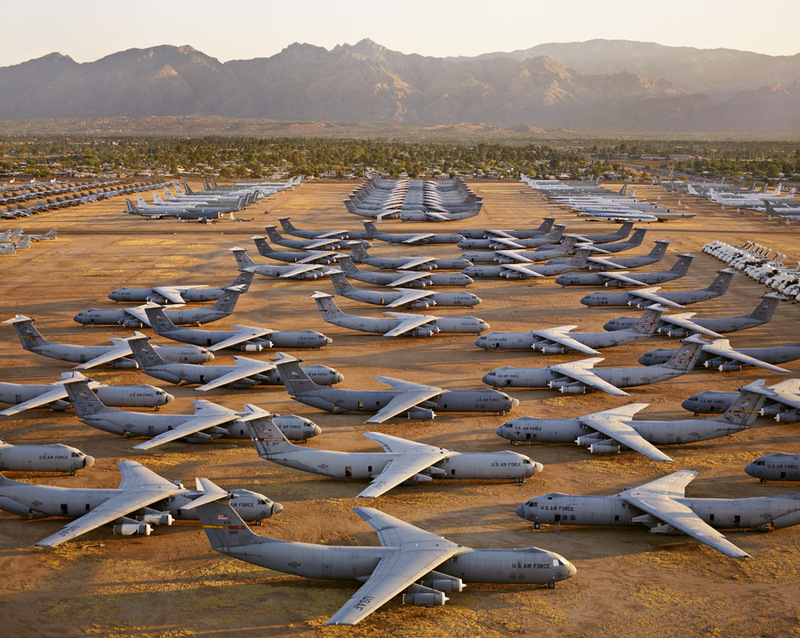 Oil Field in Bakersfield, California. I’ll be the first one to admit that I don’t reach much science fiction. In fact, the last science fiction novels I remember reading are The Hitchhiker’s Guide to the Galaxy series and The Search for Snout. The first was a high school obsession spanning several years and the second one, I read in grade school. Hellbent on changing this, I went looking for an approachable sci-fi on Netgalley. 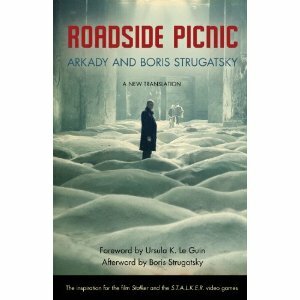 And was pretty excited to find Roadside Picnic by Arkady Strugatsky and Boris Strugatsky. Red Schuhart is a stalker, one of those young rebels who are compelled, in spite of the extreme danger, to venture illegally into the Zone to collect the mysterious artifacts that the alien visitors left scattered around. His life is dominated by the place and the thriving black market in the alien products. 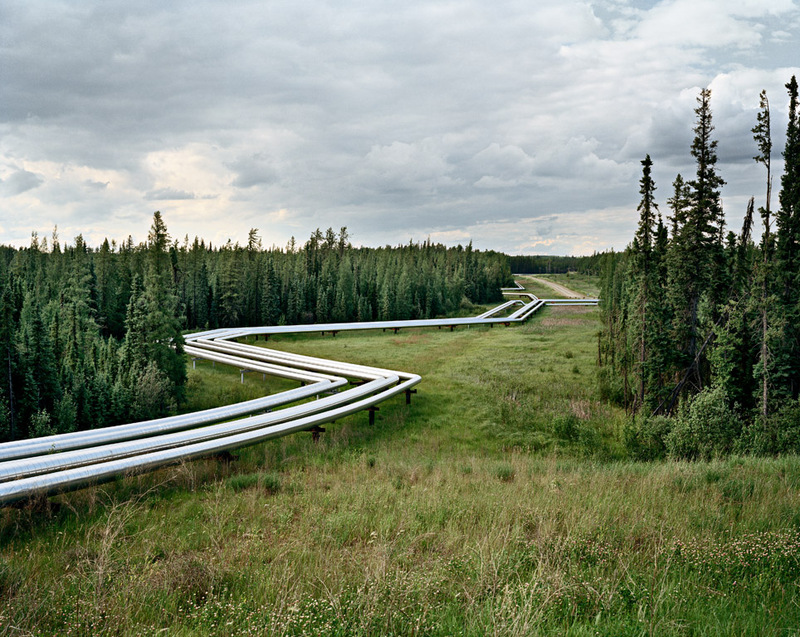 But when he and his friend Kirill go into the Zone together to pick up a “full empty,” something goes wrong. And the news he gets from his girlfriend upon his return makes it inevitable that he’ll keep going back to the Zone, again and again, until he finds the answer to all his problems. First published in 1972 and immediately acclaimed as a science-fiction classic, Roadside Picnic is included on almost every list of the hundred greatest science-fiction novels, despite the fact that it has been out of print in the United States for almost thirty years. It was the basis for Andrei Tarkovsky’s filmic masterpiece Stalker and the S.T.A.L.K.E.R. video games, which have proven immensely popular. This brand-new translation, which corrects many of the errors and omissions of the previous one, has been supplemented with a foreword by Ursula K. Le Guin, and a new afterword by Boris Strugatsky explaining the strange history of its publication in Russia. Finally, one of the greatest science fiction novels—and one of the most popular pieces of Russian fiction—is back in print in an authoritative edition.